Posh apartment houses designed expressly for the well-heeled were rare in New York in 1880, when construction of the Dakota began. Apartment housing at that time and place was mainly associated with tenements and lower class living, but in the late 1860s the Stuyvesant building opened. It attracted the reasonably well-to-do in droves and soon more such residences were in the works. The lot on which the Dakota would stand was in an area that was then largely undeveloped - both far north and west of what was considered the city's boundaries. And though the building would face Central Park, that region of the park had yet to be landscaped or developed. In fact, the street that was to become Central Park West was still but a dirt road. Astonishingly, all 65 of the Dakota's 4- to 20-room apartments were rented by the time its doors opened in late 1884; from that day until the stock market crash of 1929 there was not even one vacancy in the building. Edward Clark, an attorney who made a great fortune as partner to Isaac M. Singer in the Singer Sewing Machine Company, conceived and built the Dakota. He hired architect Henry Hardenburgh (the Waldorf-Astoria, the Plaza Hotel), then early in his career at age 32, to design the building. The project would establish Hardenburgh's reputation. Massive and extravagant, the Dakota's exterior was an eclectic interpretation of German Renaissance style while the interior reflected French architectural influences then popular in New York. 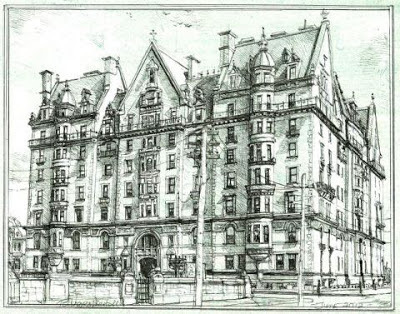 In his 1970 illustrated novel Time and Again, Jack Finney wrote of the Dakota's "pale yellow brick handsomely trimmed in chocolate-colored stone," of its roof "like a miniature town...of gables, turrets, pyramids, towers, peaks" shingled in copper-trimmed slate and "peppered with uncountable windows, dormer and flush, square, round, and rectangular." Sadly, Edward Clark would not live to see the completion of the Dakota and his own sumptuous apartment in the building would be bestowed upon his 12-year-old grandson and heir. Once the Great Depression took hold following the market crash, several of the Dakota's large apartments were broken up into smaller ones and years later, in 1961, the building became a co-operative. Over its long history, the residence served as home to many notables of stage, screen and other lively and literary arts. The first actor to move into the Dakota came in the late '30s; he was William Henry Pratt, better known as Boris Karloff. Others would include Lillian Gish, Judy Garland, Lauren Bacall (with and without Jason Robards, Jr.), Judy Holliday, Jose Ferrer and Rosemary Clooney, Teresa Wright, Robert Ryan, Zero Mostel, Jack Palance, Gwen Verdon, Zachary Scott and Patrick O'Neal. 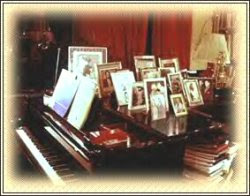 Composer/conductor Leonard Bernstein lived at the Dakota, as did dancer Rudolf Nureyev, playwright William Inge, director John Frankenheimer, Warner Bros. exec Ted Ashley, CBS News legend Edward R. Murrow, singer Roberta Flack, feminist/writer Betty Friedan and interior decorator Syrie Maugham, one-time wife of author W. Somerset. John Lennon, founding member of the Beatles and cultural icon, is perhaps the most widely known of all the Dakota's famed residents. As with many structures of gothic appearance, the Dakota weathered rumors of supernatural incidents and ghost stories. Movie critic and Dakota resident Rex Reed recalled that a doorman warned him early on to expect to see Boris Karloff's ghost. Strange and unexplained events were witnessed below ground, in the basement and, for a brief period, a so-called "Phantom of the Dakota" vandalized the building and spooked its inhabitants. 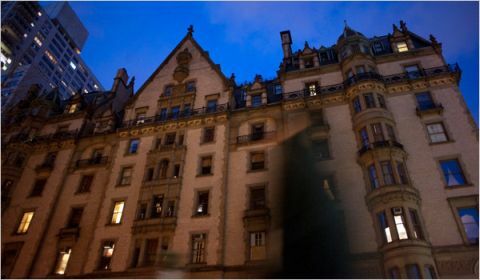 But it was only with the release of Roman Polanski's Rosemary's Baby (1968), set and partially shot at the Dakota, that the building's reputation for quirkiness and opulence took on a decidedly dark facet. 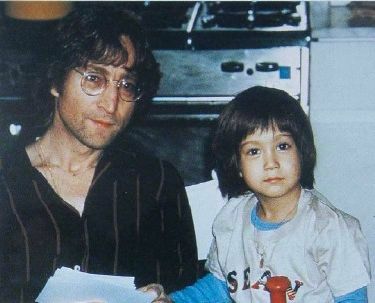 With the deadly 1980 shooting of John Lennon at the building's front gate, the incomprehensible and horrifying became real. 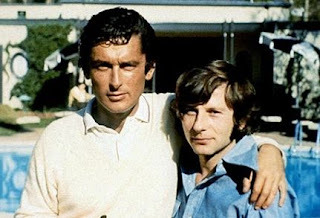 When Roman Polanski walked into the office of newly appointed Paramount Pictures production head Bob Evans for the first time in 1967, he thought he was there to discuss directing Downhill Racer, the project Evans brought up when he asked for the meeting. Instead, Evans quickly admitted that, knowing Polanski loved to ski, he'd used the project, the story of a U.S. Olympic team skier, as a lure. What Evans really wanted to talk with Polanski about was directing a film adaptation of Ira Levin's soon-to-be-published horror thriller, Rosemary's Baby. Evans gave him the printer's galley proofs to take home and look over. In a sitting, Polanski read through Levin's chilling tale of a contemporary Manhattan couple who move into a fabled apartment building - with terrifying consequences. He quickly agreed to direct. 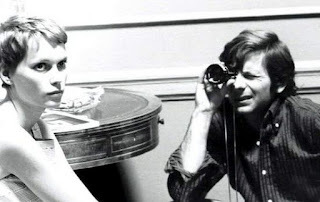 Why was Evans intent upon hiring Polanski to direct Rosemary's Baby? William Castle, producer/director of low-budget horror movies, had optioned the screen rights for the book. Castle, who had an exclusive contract with the studio, hoped to direct the film himself. But Evans wasn't interested in making the grade "B" genre fare Castle turned out, pictures like The Tingler (1959), 13 Ghosts (1960) and Strait-Jacket (1964). Evans, destined to become a legendary figure in the New Hollywood era, saw Rosemary's Baby as a director's film and his interest was piqued by the Polish director of what he called "three really offbeat thrillers," Knife in the Water (1962), Repulsion (1965) and Cul-de-sac (1966). Knife in the Water, a taut psychological drama that marked Polanski's feature film debut, brought an Oscar nomination for Best Foreign Language Film and international acclaim. Repulsion starred Catherine Deneuve and Cul-de-sac starred her sister, Francoise Dorleac; both were moody, surreal films that won international awards. Evans believed Polanski's iconoclastic vision might conjure something special and unusual out of Levin's sly, dark fiction and was able to convince Castle to confine himself to the role of producer. 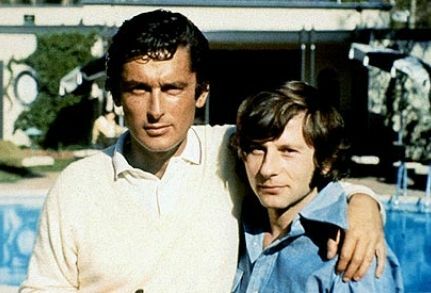 Polanski thought Levin's book a "well-constructed thriller," cinematic in nature, and immediately began work on the script, writing from dawn to dark for days on end. In the meantime, Rosemary's Baby was published and became a #1 best-seller. The National Observer called the book "the best chiller to come down the gooseflesh trail in many a moonless night." 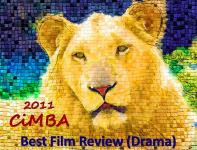 Even the New York Times review was a rave and anticipation for the film adaptation ran high. Polanski originally planned to cast the lead roles with actors who possessed the All-American good looks and energy depicted in Levin's book, and favored Tuesday Weld for Rosemary and Robert Redford as her husband, Guy. 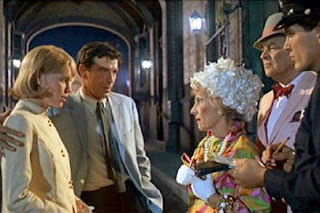 When Bob Evans suggested Mia Farrow, the director at first thought her too waif-like and ethereal for the title role. But after meeting and discussing the role with her he hired her without so much as a screen test. Robert Redford became unavailable and Warren Beatty turned down the role of Guy, so Polanski turned to John Cassavetes, an intense, charismatic actor who was also making a name for himself as an independent filmmaker. The hand-picked supporting cast included Hollywood troupers Ralph Bellamy, Patsy Kelly and Elisha Cook, Jr., as well as stage and screen veterans Maurice Evans, Sidney Blackmer and Ruth Gordon. Uncredited in the role Polanski characterized as "the real star of the picture," the Bramford apartment building, was the Dakota. 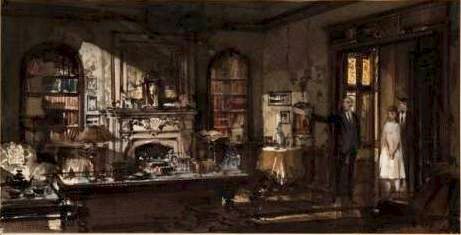 Exteriors were shot on-site and Richard Sylbert, Polanski's production designer, recreated the Dakota's interiors (off-limits to movie-makers) in Hollywood. Rosemary's Baby would begin and end with aerial views of the imposing structure. Production was underway for only a week when Charles Bluhdorn, Paramount's new owner, began to have second thoughts about Polanski, whose focus on artistic values and fine details he viewed as unreasonable perfectionism. One day while on the studio lot Polanski ran into filmmaking legend Otto Preminger. Dejected, he told the older director there was talk he was going to be replaced on Rosemary's Baby. Preminger asked if the studio was happy with the rushes and when Polanski told him it was, he said: "Roman, remember this: You can go over budget as much as you like, provided the rushes are good. 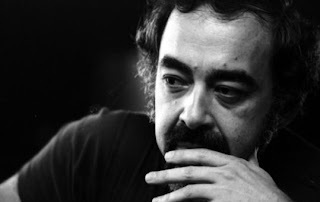 They only replace a director when the dailies are lousy." What Bob Evans saw in Polanski's dailies was an "ominous sense of fright" - and it thrilled him; he told Paramount, "If he goes, I go." Both stayed. Polanski was determined to recreate the exact time frame in which the story was set, mid-1965 to mid-1966, just two years before the film was made. Trends had shifted in that brief period; by 1968 styles had begun to swing from the influence of all-things-English ushered in with "the British Invasion" to a more bohemian sensibility reflecting the "flower power"/"hippie" phenomenon. His insistence on authentic detail drove costume designer Anthea Sylbert's replication of mid-'60s fashion. She captured the look of the moment with Rosemary's Mod-era shifts, mini-dresses and attire like a red chiffon pants suit to be worn on a romantic evening at home. Other time-specific touches include Rosemary's decision to have her pageboy tresses snipped into a short Vidal Sassoon cut, Rosemary relaxing on the sofa with Sammy Davis, Jr.'s book Yes, I Can (a 1965 best-seller), a glimpse on TV of the Pope's October 1965 visit to New York, and Time magazine's famous "Is God Dead?" issue (April 8, 1966) conspicuous among the reading material in her doctor's waiting room. Polanski later said the story line of Rosemary's Baby had posed one problem for him, it conflicted with his own worldview. He didn't believe in Satan. So he decided, "for credibility's sake," to add an element of ambiguity suggesting the possibility that Rosemary's imagination was the source of her fears. With careful camera placement and the use of special lenses, Polanski presented the story through Rosemary's eyes. Drawn into Rosemary's point of view, the audience easily relates to her confusion, feelings of vulnerability and increasing fright. Like Rosemary, the viewer is aware of lurking danger but wavers between believing what she begins to suspect is happening or accepting the rational explanations offered by others. The aftermath of a shocking suicide introduces the Castevets, Minnie (Ruth Gordon) and Roman (Sidney Blackmer), a pair of elderly oddballs who arrive on scene decked out as if fresh from the vaudeville stage. Rosemary sees her baby for the first time and, uncomprehending, shrieks, "What have you done to its eyes?" Roman Castevet crows happily, "He has his father's eyes!" Without resorting to genre gimmickry, Polanski crafted a tight, stylish psychological thriller. And a blockbuster. The last auteur-directed shocker to create such a box office sensation had been Alfred Hitchcock's Psycho in 1960, a film Polanski had seen repeatedly when it was in release. Rosemary's Baby's success would go on to inspire the wave of lavish A-budget horror films to come, notably William Friedkin's The Exorcist (1973) and Richard Donner's The Omen (1976). It would bring an Academy Award to Ruth Gordon for her supporting performance and a nomination to Roman Polanski for his adapted screenplay. Considered a genre-transcending classic today, Rosemary's Baby remains a landmark of modern horror, as capable of jangling nerves and inducing chills as it was in its infancy 45 years ago. Rosemary's Baby is available on Blu-Ray and DVD from the Criterion Collection. This special edition contains many extras, including: a documentary featuring Polanski, Mia Farrow and Bob Evans; an interview with Ira Levin; a documentary on the life and work of composer Krzysztof Komeda (who died 10 months after the film was released) and other special features. Okay, this post freaks me out, because I was *just* flipping through "Rosemary's Baby" on Netflix yesterday! And the reason I started watching it was because I wanted to see those amazing opening shots of the Dakota. So weird. Excellent post. What a fascinating topic. KC, I've been working on this post for a while and happened to be finishing it as I watched "Mad Men" on Sunday night. A scene in which Sally Draper was shown reading "Rosemary's Baby" stopped me cold for a moment. Thanks for your comment. As a major "Rosemary's Baby" fan I can't tell you how much fun I had reading this post. I loved reading all the stuff about The Dakota, seeing your great collection of pics, and all the behind the scenes stuff you gathered about the making of the film. Your noted reference bibliography reads like a mini-list of the my own library of Rosemary's Baby-related books. I never tire of reading about this endlessly fascinating movie and you did a bang-up piece. Thanks for covering so thoroughly and thoughtfully a film that seems to find new fans every generation. "Rosemary's Baby" hit me like a ton of bricks on first viewing and I saw it several times that summer of its release. Now that I think of it, a very atypical thing for me to do. Loved it, still do and so glad you are also a devoted fan. The film and everything about it fascinates me (obviously). So glad you enjoyed this piece, Ken. Fascinating article, Eve! I only knew about the Dakota in relation to ROSEMARY'S BABY and had no idea about the complete history of the building and all the famous people who lived there. The Dakota could almost be the subject of its own movie, like the house in FOREVER AND A DAY. Thanks, Rick. There is much more to the Dakota's story, but I tried to give at least an idea of its rich history. Ira Levin apparently had another building in mind when he wrote "Rosemary's Baby" - reportedly the Alwyn Court. And Levin is said to have called the building the Bramford in a nod to "Dracula" author Bram Stoker. I think the Dakota could be the subject of a movie and I'm surprised there's not been a documentary. This one of my favorite article's, that you have written Eve! I knew a "little" about Dakota history of the building and a few of the famous people who lived there. Thank you for sharing all the behind the scenes information and all the wonderful pictures. Dawn, Thanks! I love history and I love movies, so pieces like this are a joy to work on. Stephen Birmingham's book was a revelation, by the way. Wow, what a fascinating and informational article! Thanks so much for putting it together. 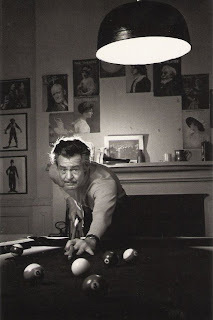 As a huge Robert Ryan fan, I have long known that John Lennon lived in the same apartment he did, but I had no idea just how famous a place it was...or how many other stars lived there. I think it would be fascinating to live in that kind of apartment building...especially in New York City. While I may not be able to take a lifetime of it, I think it would be fun to live that way for a year or 2. Thank you, Dave, good to hear from you! Terrific post Lady Eve. I can't add anything to what you've already written about in a thoroughly enjoyable and informative post. I will recommend, however, the audio-book of Robert Evans' The Kid Stays in the Picture. His own narration of his bio is totally entertaining and enlightening. Christian, I listened to Bob Evans' audio-book version of "The Kid Stays in the Picture" a while ago. Very entertaining, indeed, and I've seen a documentary version as well - which I believe he also narrates. It cycles through on one of the movie channels from time to time - what a character and what a life he has led. Thank you for your (always) kind comments. This was such a great idea for a post and very well done! I love learning about architecture in film so it was a very interesting read. 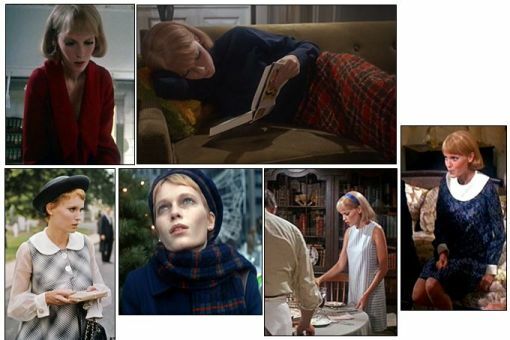 I'm such a wimp when it comes to horror movies, but your post makes me want to watch Rosemary's Baby now. Ginny, I'm not great when it comes to horror movies either - don't watch the gory stuff but am very spooked by psychological thrillers (of which "Rosemary's Baby" is a masterpiece). However, it is very clever, beautifully written, filmed and acted - and so I can't resist it. Would love to hear your opinion once you see it. Eve, a finely researched and well done post. One of you best articles! As a fan of John Lennon, I know The Dakota was an important part of his life. Those years as a house husband, I believe he found peace and a sense of sanity. Sadly, of course, he also met his death there. ROSEMARY BABY is a brilliant blend of horror and black comedy, something Polanski is best at. It’s one of my favorite films and you capture its essence perfectly. Excellent!!! Thank you, John. This post was a labor of love in many ways - I was able to combine my interest in the history of the Dakota with my take + background on a film (and director) I admire tremendously. I didn't dwell on John Lennon's life and death at the Dakota in this piece but, of course, I couldn't help but reflect on both as I wrote. I had walked past the Dakota once in the mid to late 70's, a distinctive building to say the least. The LIFE AT THE DAKOTA book sounds interesting. "Life at the Dakota" not only recounts a detailed history of the building but also tells the stories of some of its colorful but not-so-famous inhabitants - up to 1979, when the book was published. Later editions mention John Lennon's death but don't elaborate much beyond that. There is more recent history to be found online, though. Wonderful article with fascinating background on the Dakota! I knew some of this, but not that Robert Ryan was once a resident, or that Boris' ghost haunts the place. :) Last year at Halloween the local university free film series screened Rosemary's Baby. I hadn't seen it in years, and it was a real treat. 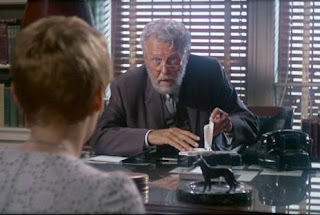 I especially got a kick out of producer William Castle's Hitchcock-like cameo. You should write more about classic horror-- you do it so well!! Thanks, Brian. I'm kind of a sissy when it comes to horror, but love films of all genres - and what I love, I write about. I'm wondering if you saw "Spine Tingler! The William Castle Story" when it aired on TCM last month. A really interesting documentary - sadly, though, it seems the success of "Rosemary's Baby" was almost too much for the man. Another great post! Oh, my horrible home town! My life-long dream - to live in The Dakota! Love your post, especially the history of the Dakota. (Have you ever read "Martin Dressler: The Tale of An American Dreamer"? I wonder if the author was influence by the Dakota.) And "Rosemary's Baby" is a favorite. When I first saw it on TV it freaked me out; halfway through watching it a friend came over and I insisted she stay with me, and the movie totally got to us. I've loved the movie ever since. CFB, I did read "Martin Dressler," but years ago. It would be interesting to re-read, I think, with the Dakota and its history in mind. Lucky for your that your friend stopped by when you were watching "Rosemary's Baby"- thankfully, I wasn't alone the first time I saw it either. Love your post, Lady Eve. I have walked past this building many, many times and the 2 things that always cross my mind are "Rosemary's Baby" and the death of John Lennon. It is impossible not to feel something when you are near it. Chick, I haven't walked past the building that many times - but do visit whenever I'm in New York. I've always thought of John Lennon and "Rosemary's Baby," too. Having read "Life at the Dakota" and learning so much more about it, I'm now even more intrigued by the truly legendary Dakota. Wow, that was an impressive article! I learned a lot. I know its been a while since I have been on here, and I'd like to reach out to my old friends who haven't been to the Classic Film Union in a while. A lot has changed, and I think you would like most of the changes. Also, I would like to invite my old friends to an all- Union party, like the one we threw in 2009- and this time, its a masquerade. I do hope you can come, and I understand if you do not want to, but in case you are interested- its Friday at 7pm EST. Hope to stop by again soon! Hi, Hep! Good to hear from you again. Thanks for stopping by and for the invitation - I'm hoping to have a chance to visit the CFU party this Friday. Eve, when I used to live in New York City, we frequently walked past The Dakota, it being one of our favorite places. 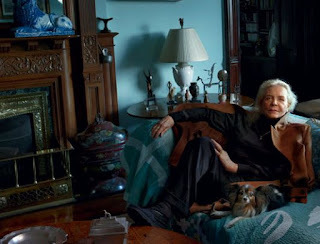 We often passed by Dakota dwellers like Robert Ryan, Lauren Bacall, and John Lennon and Yoko Ono. You did a wonderful job with your in-depth post about The Dakota and the making of ROSEMARY'S BABY, from the original building to William Castle as producer to the real-life tragedy of John Lennon and more! Thanks for an excellent post! Thank you, Dorian. Your memories remind me that on one jaunt past the Dakota and into Central Park, a friend and I happened to pass a well-known couple walking their dog. Actually, noticed the dog first (though I can't remember the breed now) and realized the owners were Mike Nichols and Diane Sawyer. But, to my knowledge, I've never encountered any of the Dakota's famed residents while in the area. Stumbled upon this site while looking at photos of NYC. Plan on sharing this with all my fellow history buffs and New York fans, this site is awesome! Thank you, Trish. This piece is one of my own favorites - it was a lot of fun to research and write. If you are interested in learning more about the Dakota, the book "Life at the Dakota" might interest you.